Are you like me, and love a good hearty breakfast? Well if you are, then this one is going to be right up your alley. 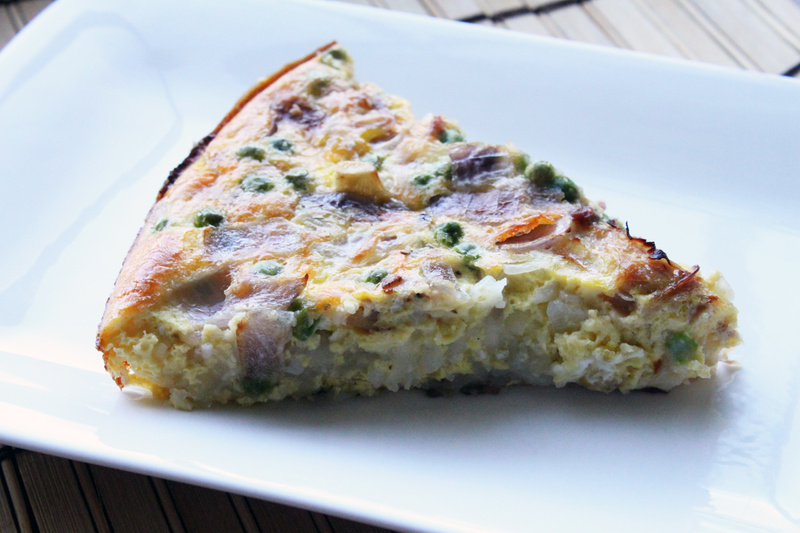 I love a good quiche because it is something that not only is great for breakfast, but it makes for a great item for brunch, lunch, or dinner. It wasn’t long ago when I decided to come up with this recipe as I was the first one to awake on Sunday morning, and get things going for breakfast. I figured I would make this ham, bacon, and potato quiche and get a good hearty breakfast in for my wife and kids. I knew that most likely my oldest, which was true, would not even consider this as he does not like eggs, but the others would most likely devour it. This whole recipe really started from the idea of cooking bacon, and crisping up thinly sliced potatoes in that bacon fat. Sometimes that is all it takes. Let’s get started. Start by cooking your bacon on medium heat in a large skillet. The beauty about this one is that everything is done in the skillet. Once the bacon is cooked to your liking, remove the bacon and chop it. Reserve half of the bacon fat. Add in the ham, onions, and cook for a few minutes. Remove the ham and onions from the skillet with a slotted spoon, and set aside. Return the skillet to the heat, reserve any leftover bacon fat, and add the butter. Lay down the thinly sliced potatoes, covering the bottom of the skillet. Cook the potatoes, lifting them up from time to time, until they are nice and crisp. During this time, beat the eggs with the heavy cream. Add in the crumbled bacon, onion, ham, peas, and cheddar cheese. Mix gently with a fork, then add to the top of the potatoes in the skillet. Place the skillet in the oven and cook for about 35-45 minutes or until the eggs are cooked through and lightly browned on top. Slice the quiche into pie like slices and dig in. This is definitely a hearty meal, and one that is packed full of flavor. You can eat this warm, or even at room temperature, which also lends to be great for leftovers, and what is not to love about any of that! Hope you enjoy.